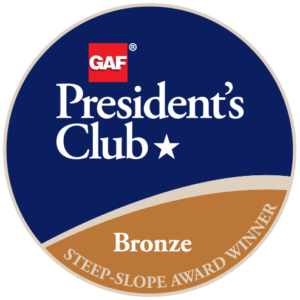 MCE Receives GAF’s Prestigious President’s Club Award for another year in a row! Mark’s Custom Exteriors has been a GAF Master Elite® Contractor since 2011. To become a Master Elite® Contractor—a status that less than 2% of roofing contractors nationwide are able to achieve—a candidate must demonstrate proper licensing (in states that require it), maintain insurance, have a proven reputation, and show commitment to ongoing professional training. In 2015, Mark’s Custom Exteriors began partnering with No Roof Left Behind(TM), a nationwide program in which members of a community nominate a neighbor who has fallen on hard times. That neighbor then becomes the recipient of a new roof, free of charge and installed by the local contractor. “This is one of the newest things we’ve taken on, and we’re really excited about being involved with this project,” says Holcomb. 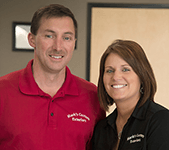 The company also works with Habitat for Humanity and is a GAF Certified Green Roofer(TM).